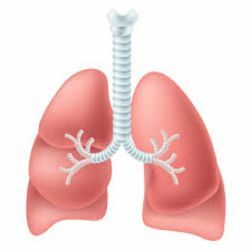 A pneumonectomy is a surgical procedure that removes an entire lung from the chest cavity. 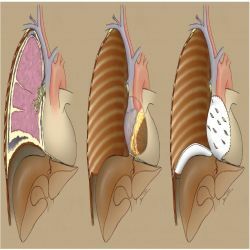 It is an invasive and radical surgery that is more complicated than removing only the diseased tissue from a lung. It is less radical than an extrapleural pneumonectomy, which involves moving a lung as well as the pleura, lymph nodes, and diaphragm. The procedure may be used to treat a number of serious conditions, including mesothelioma. Because the procedure is so risky and invasive, not all patients living with mesothelioma or lung cancer are good candidates. If cancer has spread beyond the lung, for instance, the potential benefits are likely not worth the risks of complications of the surgery. The surgery is only performed when there is a chance that it could be curative or lead to remission. If cancer has already spread, removing the lung will not help. A good candidate for the procedure must also be in good health aside from the underlying condition prompting the surgery. Having other illnesses can significantly increase the risk of complications, including death. One study, for instance, found that a high risk of mortality after a pneumonectomy was strongly associated with coronary artery disease. During the procedure, the surgeon makes an incision and exposes the space between the lung and the chest wall. Next, they separate the tumor from the chest wall and then resect the lung, pleura, pericardium and diaphragm en bloc (in one piece) dividing the arteries, veins, and bronchi that connect the lung to the heart. Lymph node dissection and reconstruction of the diaphragm and pericardium (membrane surrounding the heart) is then performed. A thoracotomy is performed if the disease is contained in the chest cavity. The incision is started midway between the top of the shoulder blade and the spine and extends along the sixth rib. The large muscles along the side of the torso - serratus anterior and latissimus dorsi - are both divided. The sixth rib is removed. The diaphragm and pericardium are reconstructed with synthetic mesh material such as Gore-Tex. The mesh is formed to the chest wall with a fold in it to create a loose area at the center to reduce tension along the suture line and the chance of herniation. The mesh is sutured to the chest wall with nine sutures placed through the patch and between the ribs. After the pericardial and diaphragmatic reconstruction is completed, an omental (fatty covering over the bowel) flap is sutured to the bronchial stump to cover and protect the area. Alternatively, an intercostal muscle or fat from around the heart may be used. The thoracotomy is closed and the rubber tube is placed into the pneumonectomy space and brought out of the incision. Recovery from such an invasive and radical surgery is long and progress may be slow. It may take as much as two months or more for a patient to recover fully, and even then the patient may not experience the full recovery. Patients may always live with some impaired lung function or the repercussions of other complications. Lung volume reduction surgery is used to improve breathing in some people with severe emphysema, a type of chronic obstructive pulmonary disease (COPD). During surgery, small wedges of damaged lung tissue are removed to allow the remaining tissue to function better. After surgery, people often have less shortness of breath, have better quality of life and are better able to exercise. Sternotomy : The median sternotomy involves cutting through the breastbone to open the chest. Both lungs (a bilateral approach) are reduced at the same time in this procedure. The patient is expected to stay in the hospital for 5 to 10 days after lung reduction surgery. Pulmonary rehabilitation usually begins within the first 4 to 6 weeks after surgery and is a very important part of your recovery. 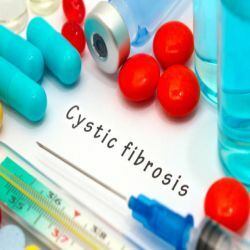 In severe cases of cystic fibrosis, when the lungs stop working properly and all medical treatments have failed to help, a lung transplant may be recommended. A lung transplant is a serious operation that carries risks, but it can greatly improve the length and quality of life for people with severe cystic fibrosis.